and before hitting the bat or when it hits the bat. 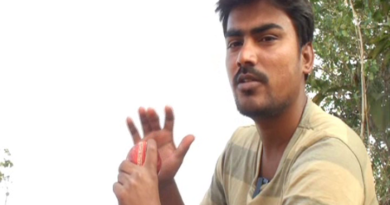 Its the speed which is calculated at the time of you release the ball from your hand or wrist. Or else you can say that it is the speed which is calculated at the time of releasing point. The speed which is displayed on your Television screens is actually the speed at the time of releasing point. Most often people think it as the speed when the ball hits the bat. Actually the speed of the ball when it hits the bat will be quite lesser than the releasing speed. Suppose let us say, if the releasing speed or you can say the displayed speed on your Television screens be 140 kmph then the speed of the ball when it hits the bat would be generally in 120’s. Depending upon the pitches the difference in speeds decrease or increase. If it is a slow pitch like in India, there might be more speed difference between the releasing speed and the speed when it hits the bat. In one case at one of the grounds in India (kolkata). The releasing speed is recorded as 141 kmph and the speed when it hit the bat is recorded as 114 kmph. The difference is 27 kmph. That means it is a terrible slower pitch. These speeds were calculated when the ball was pitched shortly. In faster pitches like in Australia or South Africa or England the speed difference would be definitely less than 20 kmph or little bit more. The lesser the speed difference the faster the pitch. The Greater the speed difference the slower the pitch. So as the ball is released from hand or wrist it goes on decreasing and decreasing until it reaches the bat. The speed of the ball simply decreases due to opposite force known as frictional force. Lets say the releasing speed of the ball be x kmph then the speed of the ball before pitching would be x-5 to x-10 kmph, the speed of the ball after pitching would be x-10 to x-15 kmph, the speed of the ball before hitting the bat or when it hits bat would be x-15 to x-20 kmph. These are the general figures calculated with reference to good fast pitches. They are not exact figures. They might change their speed differences depending upon the nature of the pitches. If it was a slower pitch the figures mentioned above might be little different. X-15 to X-20 kmph————speed of the ball before hitting the bat or when it hits the bat. X-20= 120 kmph———-Before hitting the bat or when it hits the bat. 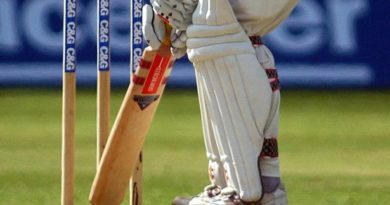 Therefore in good fast pitches the speed of the ball would be at 120 kmph when it hits the bat with the releasing speed of 140 kmph (Generally). Similarly you can calculate different releasing speeds at different times. Mind you the calculations done above are calculated based on shorter length and good length deliveries. 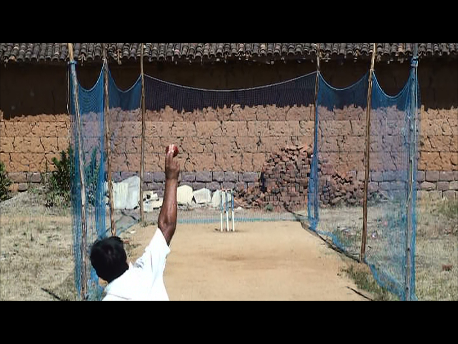 It would be little bit different story if it is bowled in fuller length.